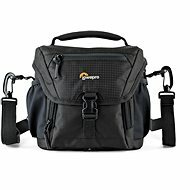 The Case Logic SLRC203 is a tough and ready shoulder bag designed to protect your beloved cameras. 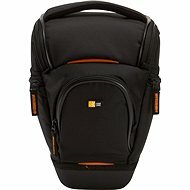 It offers top-notch protection by using a shock-resistant material and waterproof zippers. The nylon liner and the hammock system ensure superior protection for the device, and removable compartments and flexible walls let you adjust the layout of the interior. 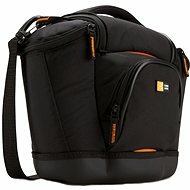 The bag includes two large side compartments for accessories and an inner pocket for memory cards. The nylon material and water-proof EVA base provide protection in any weather. 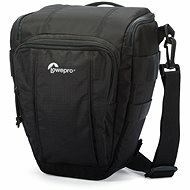 It is comfortable and easy to carry the bag using either the upper handle or the removable, padded shoulder strap. 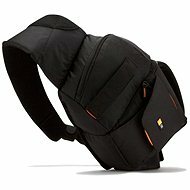 Resistant to rain, Small battery pockets, memory cards, etc. Done! For shipping to other EU countries visit this page Case Logic SLRC203. 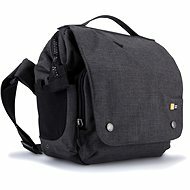 Für Versand nach Deutschland, besuchen Sie bitte Case Logic SLRC203. Chcete doručit zboží do Česka? Prohlédněte si Case Logic SLRC203. Chcete doručiť tovar na Slovensko? Prezrite si Case Logic SLRC203. Für Versand nach Österreich, besuchen Sie bitte Case Logic SLRC203. Magyarországra történő kiszállításért tekintse meg ezt a termékoldalt: Case Logic SLRC203.